Bagyong Falcon has moved faster and PAGASA now expects it to leave the Philippine Area of Responsibility by tomorrow, Saturday, June 25. 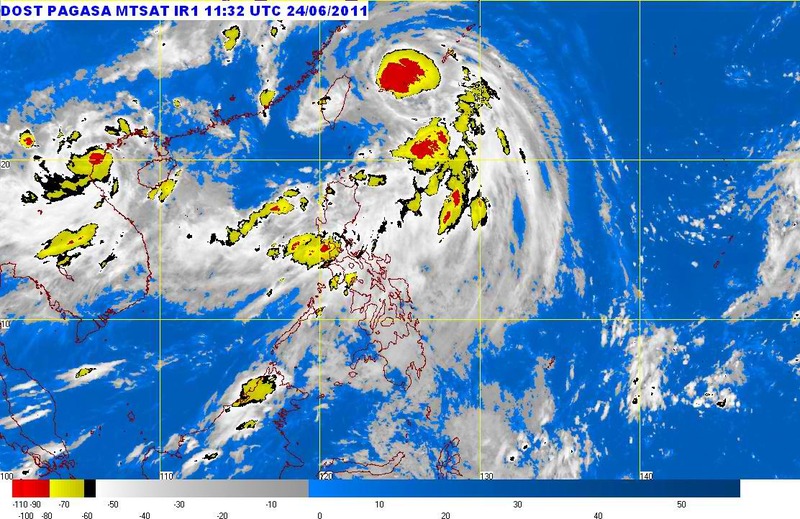 "Tropical Storm 'FALCON' has slightly intensified as it moves away from the country," says PAGASA on the latest bulletin statement posted on its official website. 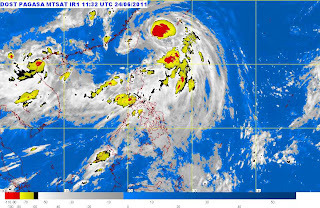 As of 11 PM Friday, June 24, it's spotted at 410 km Northeast of Basco, Batanes, Batanes and it's already heading out of the country, moving North Northwest at 22 kph. By Saturday night, it's expected to be out of the Philippine Area of Responsibility. All Public Storm Warning Signals have already been removed by PAGASA. Metro Manila experienced heavy rains today that the Malacanang Palace was prompted to suspend work in some government offices.